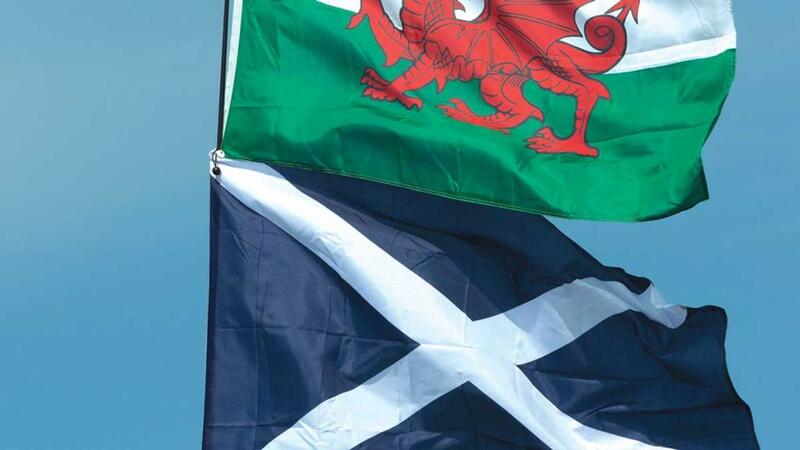 Scotland and Wales are too small to break into new markets after Brexit without using the Union Jack food label, according to NFU Scotland and NFU Cymru. The two presidents of the unions, Andrew McCornick and John Davies, said there would be opportunities to differentiate with Welsh Dragon and Saltire labelling after a market had been opened up, but in the initial stages, the Union Jack would be needed. The comments were made during a 30-minute Ploughing Through Brexit devolved special podcast, where hosts Abi Kay and Will Evans were also joined by Scottish Rural Economy Secretary Fergus Ewing and Welsh Rural Affairs Minister Lesley Griffiths. Mr Davies said: “I think there is probably an opportunity for a twin-track approach here which sees us gain access to some of these larger markets, whether it is Japan or China or other places, but once we are there we can really get to work to market the best products. “I was in Washington about two years ago and I got to speak to some of the people involved in TTIP negotiations [the failed EU-US trade deal], and their view was you need to come in with a bit of scale,” he said. “You cannot just walk into this market as a wee Scottish provider. To be able to fill a lorry or a palette is not enough, you need to be able to fill ship loads to get access to the market.